To bring their 50 anniversary year celebrations to a close, Vans decided to do a holiday collection with their “Off The Wall” heritage. 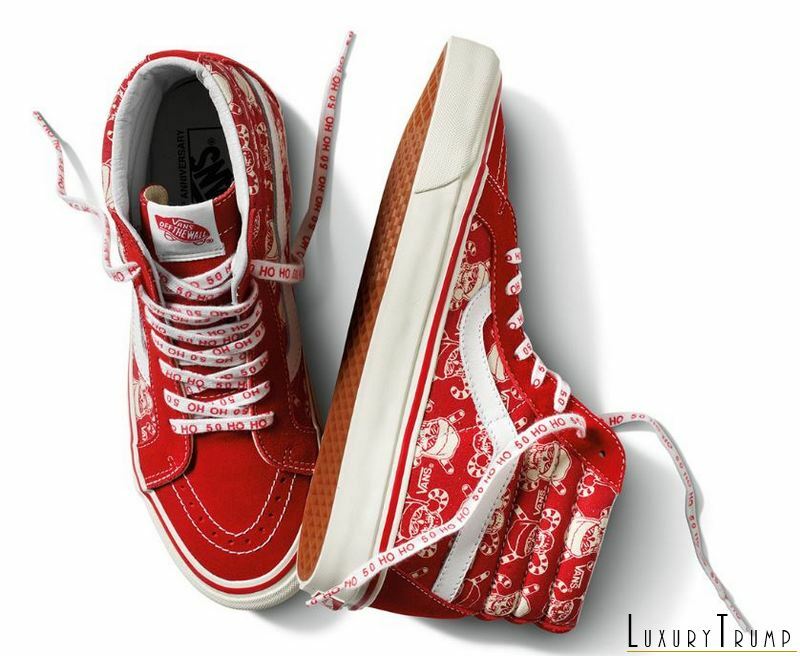 Creator of this special collection is brand’s unofficial ambassador of fun Steve Van Doren, he and the team went back in time to bring back some vintage Vans prints with a modern update for the holiday collection. 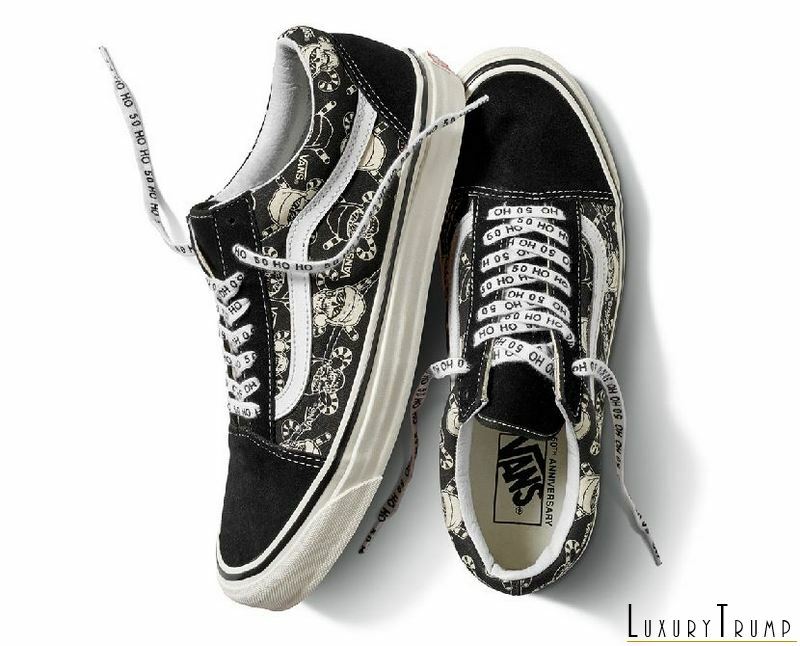 Reissues include skull and bones prints, which updated to include festive candy cane and Santa hats across the Sk8-Ho 38 and Old Skool 36 reissue silhouettes. The canvas and suede blend finished Sidestripe shoe collection have their own special decorative laces with jolly “Ho Ho Ho 50” print. The Vans Holiday Collection is not all footwear, it also includes Holidaze long sleeve t-shirt, pullover hoodie, and sweater decorated with the skull and bones Santa prints. 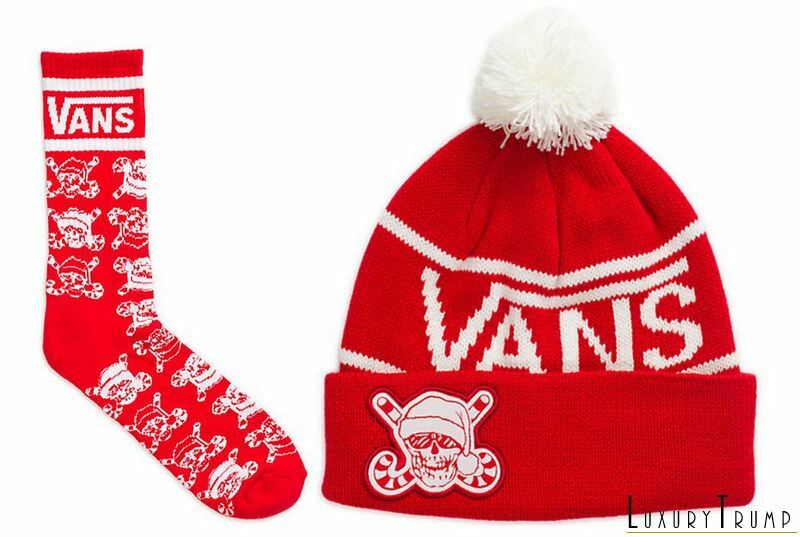 Rounding off Van Doren’s fun filled holiday collection are Holiday crew socks, Pom beanie, and a trucker hat. 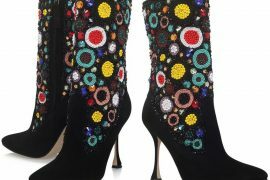 Vans swear these items have full potential to win any ugly Christmas sweater and festive wear contest.